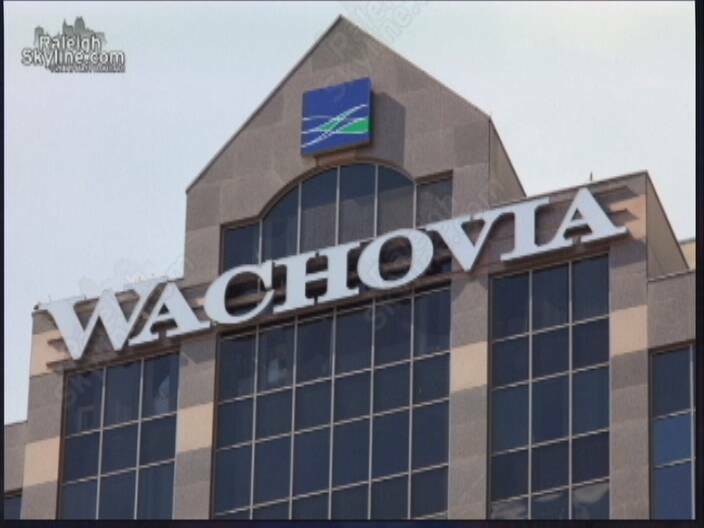 The opposition People’s United Party has been attacking the Prime Minister in ads for depositing cheques of US twenty-five thousand dollars to his account at Wachovia Bank and another for thirty-two thousand with Bank of America. The trust of the ad is that the PM has no confidence in the economy and has been making deposits in US banks. Recently, copies of credit card statements have been circulating showing charges made to the PM’s US held credit card with Wachovia Bank. The charges go back to September and October of 2009 and amount to a little over seven thousand US dollars for purchases. A perusal of the statement, however, shows other activity. 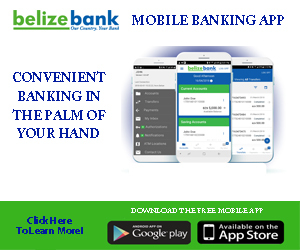 There are time deposits of more than half a million US dollars or over a million Belize dollars held with the US Bank. Now, there is no doubt the PM is a wealthy man, but with the elections so close, the PUP today released another ad on the Wachovia credit card statement. I say let’s check how much money all of them have. Dean , Said, Ralph , Gaspar, and so on . Add it up and the party that has the most stole the most, plain and simple. How can we be sure he — or any other wealthy official — didn’t get that way by abusing the public trust? Most modern countries require their officials to make financial disclosures every year, so everyone knows what they have and how they got it. The public or the press can check it out from there. We need such a law. And if a man lies, it should be prison for him. I have been telling you all about the large amount of money that bald head has absconded with from the poor people of Belize along with his ministers nothing but total corruption . And so??? What is this to me? I sure am happy he’s a rich man, cuz I dont want no rag tag beggar for a prime minister!!!!!!!!! At least if he got money, there’s a chance for him to help us along, man I dont get it why its alwaaaaays negative! WHAT A SHAME OF THE GOVERNMENT !!!!!!!!!!!!!!!!!!!!!!!!!!!!!!!!!!!!!!!!!!!!!!!!! So the man deposits into a US bank. What’s the big deal. We all know the man is rich. He is one of the best attorneys in Belize that has never lost a case and is part owner in the most successful law firm in Belize. No bank in Belize is gonna pay the interest that the US bank is paying for those sums of money. In fact most banks are rejecting term deposits in large amounts bc they don’t want to pay the interest on that kind of money. It just a smart move on his part to maximize profit on his money. Some of you should learn some economics and you will see this. Why is this surprising havn’t you all noticed that the PM spends more time in the US than in Belize?Wake up Belize all this man is doing is using tax dollars for his personal interest. Big deal….if you are considered high net-worth and not banking offshore, you are either ill advised or a fool…All smart people will utilize a suitable jurisdiction to maximize their returns on their earnings…. i AM A BUSINESS MAN AND I HAVE BEEN IN BUSINESS FOR 12 YEARS AND I HAVE BEEN SUCCESSFUL FOR 8 OUT OF THE 12 YEARS. I TOO HAVE AN ACCOUNT IN US FOR FIXED TERM DEPOSIT. THE REAON IS THAT THE LOCAL BANKS IN BELIZE OFFER A MEASLY LOW INTEREST RATE COMPARED TO US BANKS. AND ME BEING ME I KNOW THAT I HAVE TO FIND A WAY TO SAVE UP ENOUGH MONEY TO PUT MY DAUGHTER THROUGH MEDICAL SCHOOL IN US AND HAVING A FIXED TERM DEPOSIT ACCOUNT IN US IS ONE OF MY OPTIONS. I EARNMUCH MORE INTEREST COMPARED TO MY FIXED TERM DEPOSIT ACCOUNT IN THREE OF THE LARGEST LOCAL BANKS IN BELIZE. ANOTHER THING I DON’T LIKE IS THAT WHEN I TAKE OUT ALOAN LOCALLY I HAVE TO PAY A HIGH INTEREST RATE ON TOP OF THE CAPITAL SUM YET WHEN I DEPOSIT LOCALLY I GET A VERY LOW RATE OF INTEREST. ITS FRUSTRATING SO I LEARNT FROM MY BUSINESS PARTNER THAT IT IS BETTER TO DEPOSIT OUTSIDE BELIZE WHERE THE BANKS OFFER FAVOURABLE TERMS OF INTEREST ONLY THING IS THAT IT IS ONLY PRACTICAL IF YOU HAVE US $ 25,000 OR MORE. Instead of spending money on improving internet access for Belizeans, Dean Barrow siphons money out of Belize. What a shame. I was recently in Guatemala, and this country is becoming more advanced than Belize. In Guatemala for only US$15 you get full ADSL2+ fast broadband internet. In Guatemala you can download TV shows in 15-30 minutes. Can you in Belize? Of course not. The truth is that Belize hasn’t progressed under Dean Barrow and RIGHT NOW is falling behind her Central America peers. Which is very painful to experience. If the UDP wins again, I am betting that Belize will be the poorest and less developed country in all of Central America. What a shame. For the good of Belize, PLEASE don’t vote UDP. They haven’t brought any progress to Belize. Viewers! don’t be alarm these politician are all well off people. They will continue to steel from their own people, if we the people don’t put a stop to these type of activities. By the way, they all have foriegn accounts, where they deal with US dollars. In the U.S. or the Cayman Islands. So don’t be blind folded by one other politician has to say its all prapagandas. I hope all these transactions are cleared with the central bank. Do it right …you correct……… he is indeed maximizing his profit…..$$$$$$…….. you are so correct we don’t know economics ………but u know alot of economics……….congrats………but u no HAVE common sense…… the time weh belize d pay he fy work he mek it seem like he d go tend to his wife then time he is at the banks negotiating his present and future accounts…….but let me and YOU D POOR one tec of one day ……them no pay me NOR YOU fy that day……..but PM get pay in full fy all the days he spends in the banks…putting your money in his account ……a neva need fy go study economics fy have common sense…..you should develop some common sense. caz them not teach common sense…..
1. Dean Barrow is the PRIME MINISTER. He is to set the example for others to follow. Taking money out of Belize is a very poor example for others. It shows that Dean Barrow doesn’t believe in Belize. 2. According to what I have been reading, these transactions have not been cleared with the Central Bank. So they would be illegal. Son, im glad you travel and open your eyes, but I will have you know that Guatemala has always been more advanced than Belize. They are not “getting there” they have always been. The guatemala most people know… ie, Melchor is just a little dirty town at the border. To “Be REal”….there is no way that US Banks are paying higher rates of return on fixed deposits. On the contrary, in the past few years, people have brought funds to Belize to maximize on the higher rates the local banks were paying. Of lately, the savings rates in Belize have come down, yet they are still higher than what US banks are paying. The lending rates have also been reduced and yes this is still higher than in the states. The only reason Be Real has his money in the states is to keep it in USD, to avoid local Income Tax & Central Bank scrutiny. Not a bad idea Aldo. The Italian gov. and the gov. of Liberia are doing something similiar to suggestion. Belizean, I am an honourable person and do not break Central Bank Law. NOW IF U READ GOOD I DISTINCTLY SAID ,,,,,he is indeed maximizing his profit…..$$$$$$ (COMMON SENSE AGAIN OR U CANT READ NOW …AH?????) ..MY COMMENT WAS ALL ABOUT KING DEAN HAVING HIS OWN AGENDA….. This is why there should be laws that are enforced that everyone who is running for public office should have a full financial disclosure along with taxes they have paid over the last 6 or 8 years before they entered politics. Hey! Media, becarful because Wachovia Bank in the US do not exsist anymore, Wells Fargo is the new name! people, stop looking at other people money…learn how to fill yours. US banks nuh pay more interest than some of the banks in belize. I know I work for one …..ME was right when saying the name of that bank changed. I even shock he got wah US credit card cause most banks ova yah strick with den deh rules or maybe his pull strings since he dah PM or have US social. Then again the man probably work hard for his money hahaha. The real reason for banking his money in the American bank is to avoid the DEVALUATION he is bringing down on us right after elections – IF HE WINS!!! Be wise people!!! Can’t really blame di bald head. He constantly travel to the states. He got married there. He goes shopping there. He goes on holiday there. He gets medical treatment there. His wife is seeking cancer therapy there. I wouldn’t be surprised to hear that he has dual citizenship. He spends most of his money there, so why not stash di cash in U.S. banks? Rememba he is pro rich and not not pro poor as he claims he is. So of course he will spend his money in the states. From his actions i can conclude that he has lost hope in Belize. STOP ALL THE NONSENSE I AM SICK OF THE LEVEL THAT PEOPLE ARE GOING FOR ONE VOTE, WHY CAN’T PEOPLE MIND THEIR OWN BUSINESS AND JUST GO DO WHAT THEY HAVE TO DO. THIS COUNTRY IS IN DESPERATE NEED OF A NEW PARTY. THIS MAKES ME SICK. i AM GLAD I GAVE UP MY BELIZEAN CITIZENSHIP, FOR ONE PLEASE HAVE A CLEAN ELECTIONS. @cayogial i dont think you gave up your Belizean citizenship i think they took it away from you wen you became Guatemalan.and what you care about a clean election if you no give a &#1+ about our country.Of course will have a safe and clean election.May the best win. Did somebody swipe BWSL Land? Single Mother gets write-off; but not home from S.S.B. Politricks Time Again: Campaign workers fired or hired?